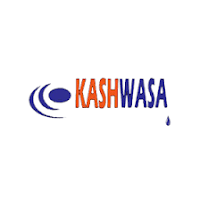 Kahama Shinyanga Water Supply and Sanitation Authority (KASHWASA) is a fully autonomous Public Utility established in accordance with the Waterworks Act (Cap. 272), which has been repealed and replaced by the Water Supply and Sanitation Act, 2009. The Authority operates a Water Supply Scheme from the Lake Victoria and supplies bulk water to other Water Utilities in both urban and rural areas, as per Government Notice No. 45 of 23rd February 2007. Currently, KASHWASA supplies bulk water to 5 Urban Water Supply and Sanitation Authorities, 65 Village Water Committees and one Mining Company. Meanwhile, the Government of the United Republic of Tanzania is implementing the Water Supply Extension Projectsfrom this scheme to Tabora Municipality, Nzega and Igunga Townships, various Villages and small towns of Kagongwa and Isaka. Post Purpose: Efficiently and effectively manage all the Authority’s procurement, supplies and disposal matters in compliance to the relevant Acts, Regulations and Guidelines. Holder of a degree/Advanced Diploma and Master Degree/ Postgraduate Diploma in Materials Management or its equivalent with Certified Procurement and Supplies Professional (CPSP) registered under approved/authorised category with working experience of at least seven (7) years working experience as a Procurement Officer in a reputable organisation in a senior position. Identifying materials requirement of the Authority and making timely procurement at minimum cost and with due regards to user specification. Recommending to the heads of Department, standards and procedures for the acquisition, storage and issue of all materials and services required for the proper operations and maintenance of the Authority system. Complying with the Authority’s tendering and ordering procedures for materials and service. Preparing and complying with the Annual Procurement Plan of the Authority. Ensuring conformity with the Public Procurement Act, Regulation and Guidelines. Establishing, evaluating and maintaining reliable primary and secondary source of materials and take appropriate corrective action on any delayed items. Monitoring all available information sources on market trends that may effect on prices or lead times and making recommendations for action to the management team. Keeping informed of new materials and shipment techniques and communicate these to the user department/sections. Reviewing policies pertaining to procurement and supplies matters. Providing the timely advice to the Accounting Officer, Tender Board and user departments on all matters pertaining to procurement, supplies and disposal. Preparing and timely submit to the Tender Board and Management monthly, quarterly and annual reports as appropriate. Performing any other duties as may be assigned by the Managing Director. Holder of a Diploma in Records Management from a recognised Institution and must be computer literate. Keeping all open/ confidential files. Filing properly all incoming documents. Retrieving files/ documents and taking them to the requisitioning office. Recording and dispatching all open outgoing mails. Ensuring proper keeping of records in the Authority. Performing any other duties as may be assigned by Administration Officer. Age Limit: Not above 45 years for all posts. All posts carry attractive remuneration and fringe benefits, according to the Authority’s Scheme of Service. High level of integrity, honest and sense of responsibility. Self motivated, able to remain calm under pressure. Committed to deliver work of a high standard. All educational/professional certificates must be from accredited institutions which are recognized by the Tanzania Commission for Universities (TCU), the National Council for Technical Education (NACTE), the National Examinations Council of Tanzania or other relevant bodies.